Jennifer Lawrence WINS Best Supporting Actress at BAFTAs 2014! Comments Off on Jennifer Lawrence WINS Best Supporting Actress at BAFTAs 2014! JustJared.com – Jennifer Lawrence has just won Best Supporting Actress for her role in American Hustle at the 2014 British Academy Film Awards held at The Royal Opera House on Sunday (February 16) in London, England. The 23-year-old actress, who was unable to attend, beat out Julia Roberts, Lupita Nyong’o, Oprah Winfrey, and Sally Hawkins for the coveted award. Congrats Jennifer! In case you didn’t know, American Hustle had 10 nominations tonight. 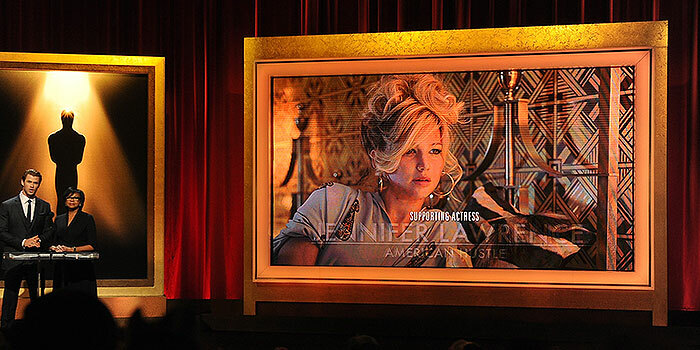 It was announced that Jennifer will present at the Oscars again this year! Deadline.com – Oscar® winner Jennifer Lawrence will return to present at this year’s Oscars, show producers Craig Zadan and Neil Meron announced today. The Oscars, hosted by Ellen DeGeneres, will air on Sunday, March 2, live on ABC. 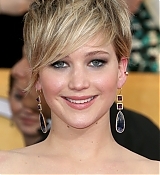 Lawrence took home the Oscar for her lead performance in “Silver Linings Playbook.” She is nominated this year for her supporting role in “American Hustle.” Previously Lawrence was nominated for her leading role in “Winter’s Bone.” Her other credits include “X-Men: First Class” and “The Hunger Games” series. 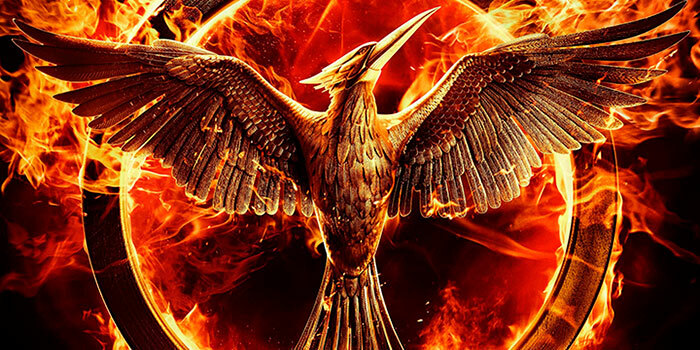 The first poster for The Hunger Games: Mockingjay – Part 1 was released today. 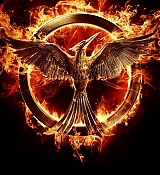 We have added the high quality version of the teaser poster to our gallery. Check it out! 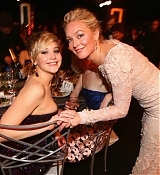 Jennifer attended the 20th Annual Screen Actors Guild Awards. She was nominated for Supporting Actress, but did not win these. And American Hustle won Outstanding Performance by a Cast in a Motion Picture. Check out pictures in our gallery!